Principal Cast : Charlie Chaplin, Edna Purviance, Eric Campbell, Albert Austin, Henry Bergman, Marta Golden, May White. Synopsis: The Little Tramp escapes from prison; saves a girl and her mother from drowning; and creates havoc at a swank party. I’m not sure what I was expecting with a film using the word “adventure” in its title, but it wasn’t this. 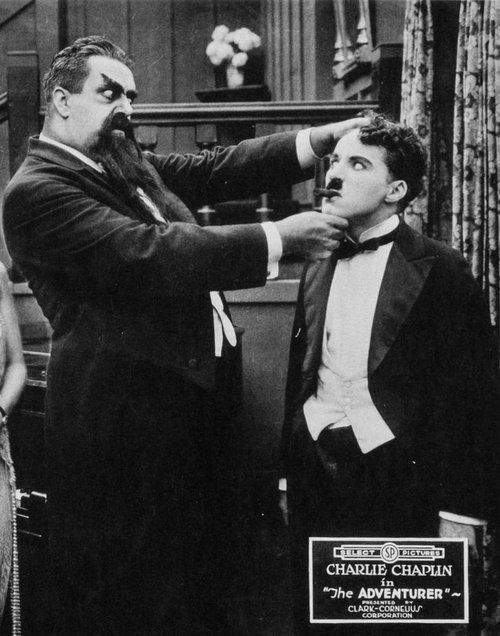 Chaplin’s twelfth and final film for the Mutual Film Company, released in October of 1917, takes the Tramp out of the studio boundaries and onto the fabulous Californian coastline, particularly a Venice Beach pier and a then-private tract of Malibu’s beaches, elicits a few chuckles before finally collapsing in upon itself. The Adventurer balances romance, escapism, derring-do and a number of excellent stunts (people flinging themselves into the water beneath the pier, all in the name of comedy!) but, sadly, the film lacks real grace or charm. 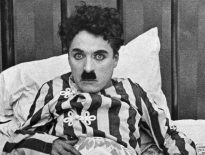 The Adventurer would also mark the final screen appearance of co-star Eric Campbell, who, at the age of only 38, would be killed in a drunken car accident the following December, marking the melancholy close of Chaplin’s time with the studio. 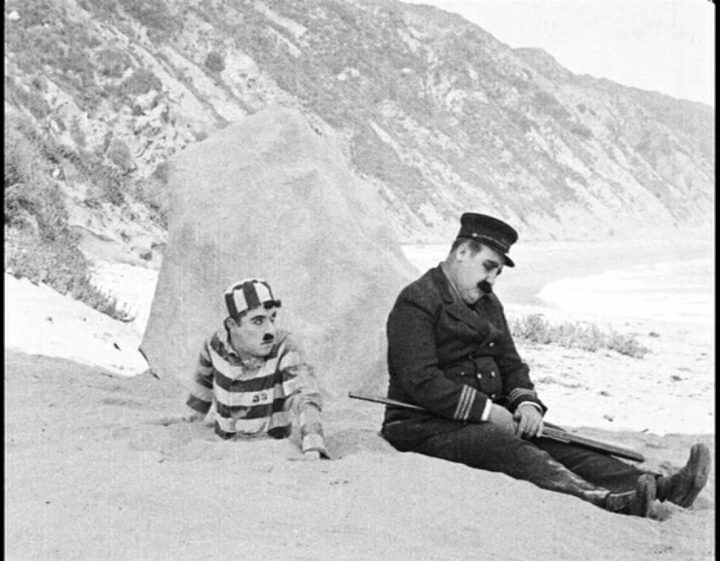 The Tramp (Chaplin) has escaped imprisonment somewhere along the coast of California. He leads his police captors a merry chase, before encountering a woman (Purviance) crying for help; the woman’s mother (Marta Golden) has fallen into the sea and cannot swim, whilst the woman’s suitor (Eric Campbell) impotently refuses to jump in and save her. 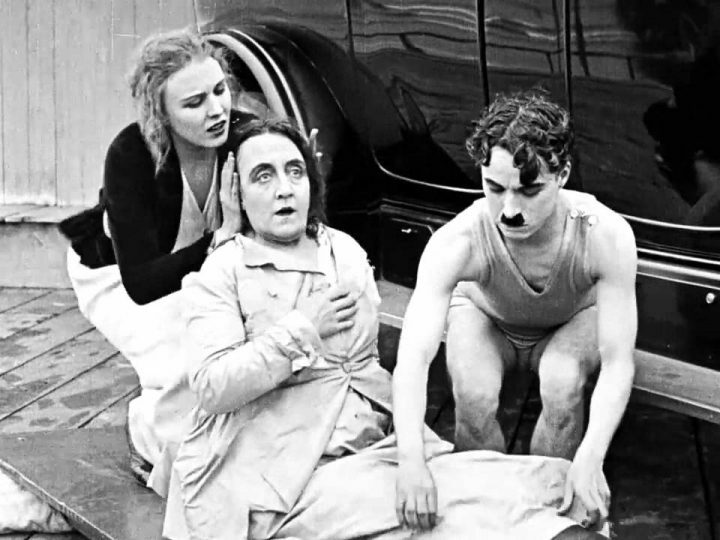 Chaplin, initially swimming to help, bypasses the mother and instead rescues the woman. Eventually, he rescues them all, and wakes to find himself in the home of a thankful woman. At a party held in his honour, the Tramp meets the very judge (Henry Bergman) who sentenced him – unknowingly – and become the target of the suitor’s rage when the larger man discovers his penitentiary predilections. Chaplin’s The Adventurer is light, fizzy fluff, a film of little sentimentality and a load of practical stunts and glorious Californian sunshine. The Tramp’s appearance as an escaping convict opens with him tunnelling out of the ground behind a prison guard, face-to-face with the barrel of a shotgun, and takes flight from there. Cavorting through the dusty roads and steep escarpments of California’s still naturalised coastline (the Pacific Coast Highway was yet to be paved or even take a route through the property on which Chaplin filmed), Chaplin’s scattershot film is extremely thin on “adventure” and focuses more on romance and escapism, close calls and Chaplin’s trademark physicality. Routine chase sequences, most involving the pantomime sideways-skid-turn act the director honed his career on, are the order of the day here, much is the pity: anyone hoping for more developed fare post-The Immigrant would find The Adventurer wanting, instead content to present genteel, rote comedic “bits” the director obviously concocted on location at the time. 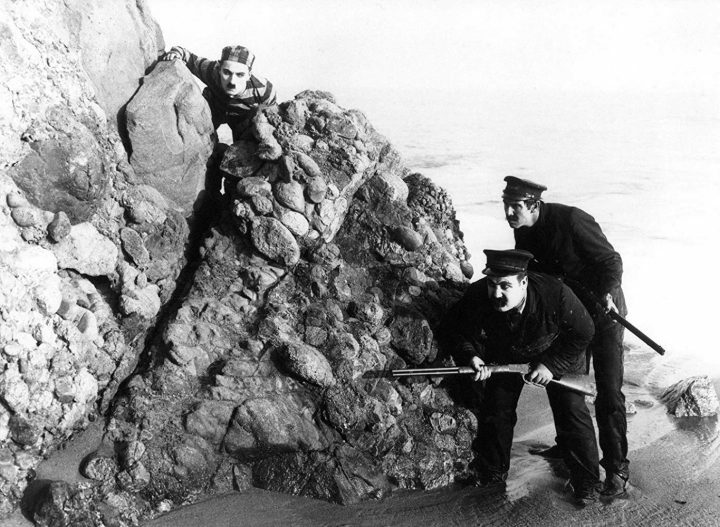 Chaplin does use the various elements of the landscape at his disposal to maximum effect, and uses one or two particularly surprising stunt sequences (clambering up a cliff with the dexterity of a startled cat, for one) and in terms of the visual gags the filmmaker has rarely been more enthusiastic. The trouble I had with The Adventurer is in its simplistic characters. I know, expecting depth from a film barely half an hour long is a big ask, but Chaplin’s work here is purely orgiastic, never invitational. Orchestrated laughs without much emotional gravitas. An exception: the film’s finale includes a gag with a sliding wooden door, that elevates the film significantly. 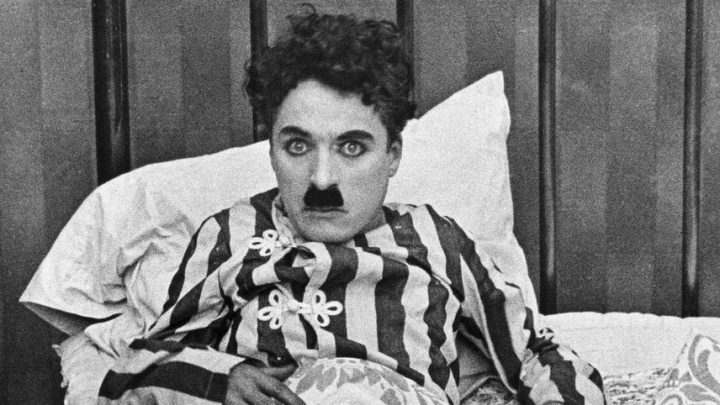 I guess in terms of this kind of effortless charm we can cut Chaplin a bit of slack. His pantomime routines and farcical slapstick hold him in good stead for cheap laughs and protracted, occasionally groan-worthy gags, so in this sense I think the director went back to his roots and gave us something right out of his wheelhouse. The supporting cast around Charlie, particularly Purviance and Campbell in the second half, all do typically excellent work as foils for the laconic comedian. It’s sad to see this as Campbell’s final film, given his status in Chaplin’s ensemble, and his rapport with his on-screen talent is palpably affable. Frank J Coleman’s exertions as the prison guard chasing the Tramp around the beach are also sweetly timed and offer practical endearment to this farcical style. Purviance… well, she does what she’s there for: to look good as the romantic interest for the Tramp’s affections. Chaplin with co-star Eric Campbell, who would be killed barely 2 months after The Adventurer was released. The Adventurer isn’t especially memorable in the sense of its characters or story, and as a finale to Chaplin’s time at Mutual it’s a bit disappointing. 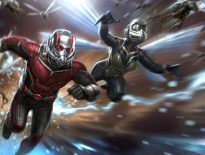 Elements work in part, and the comedic elements waft and wane in equal measure, but the entirety of the film feels like it’s simply going through the motions. The most memorable aspect of the film is its use of exterior Californian locations, many of which no longer exist today, and offer a tantalising glimpse of a turn-of-the-century America now lost to us. Cinema scholars may find my opinion on the film a little sacrilegious, but the formulaic nature of The Adventurer leans more into Chaplin’s deeper past than things we know he was capable of as he matured.